Women are increasingly supporting our families financially. It can feel empowering to be the sole or primary earner, but many of us feel pressure to be both an ideal worker and an ideal mother. We hear from a woman who supports a stay-at-home husband and three sons. Then, Alyson Byrne fills us in about the research on women as financial providers — for example, the more we financially contribute, the better our psychological well-being. (Yay.) She has tips on managing the professional side and the personal side of being the chief breadwinner. And Maureen Hoch, Women at Work’s supervising editor, shares her experience of being her family’s primary earner. Alyson Byrne is an assistant professor at the Faculty of Business Administration at Memorial University of Newfoundland. 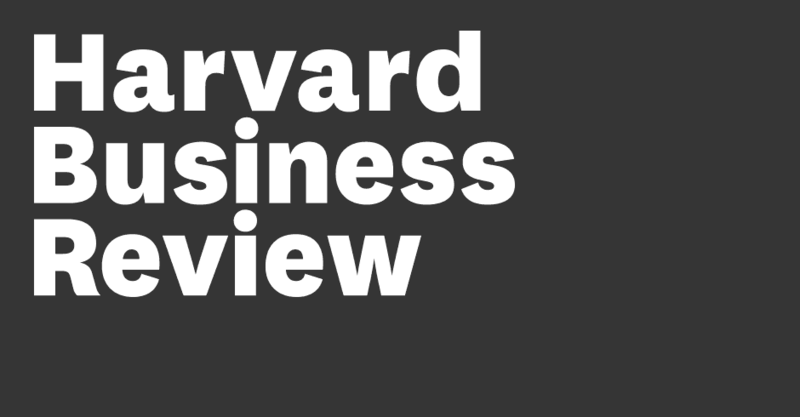 NICOLE TORRES: You’re listening to Women at Work, from Harvard Business Review. I’m Nicole Torres. AMY BERNSTEIN: I’m Amy Bernstein. SARAH GREEN CARMICHAEL: And I’m Sarah Green Carmichael. This episode, we’re talking about what life is like for women who are their family’s sole or primary financial provider. ALYSON BYRNE: We’re used to men bringing home the financial rewards. But we’re not as accustomed to when women do so. And maybe how women feel about that. AMY BERNSTEIN: We’re starting with a story about a woman who’s been the sole breadwinner for her family of five, for her entire career. SARAH GREEN CARMICHAEL: Julia Henderson has just gotten home, after driving an hour from her office in Cambridge, Massachusetts. SARAH GREEN CARMICHAEL: There’s her husband, Andy, and their three boys. Silas is 10, Eliot’s 7, and Winslow is just a year old. SILAS HENDERSON: Are you going to interview Winslow, too? JULIA HENDERSON: How could she? ANDY HENDERSON: He doesn’t have any words… [To baby] Don’t you have sounds? Boo. Boo. JULIA HENDERSON: Smells good in here. SARAH GREEN CARMICHAEL: Andy’s finishing up dinner — tonight, it’s peas and lasagna. He used to be able to wear Winslow in a sling when he cooked. ANDY HENDERSON: Now, he kind of knows what’s going on. And he’s also a little bigger, so he’ll reach for things. ANDY HENDERSON: And then I’ll just pull out all the pots and pans that make the best sounds, and he can, like, sit with his drumsticks and bang on them there. SARAH GREEN CARMICHAEL: One of the tricks of the trade. Andy’s been a stay-at-home dad since as long as he and Julia have been parents. JULIA HENDERSON: I wasn’t thinking about a career that could support the whole family. I always thought we would have two incomes, probably two white-collar incomes. But I have to say that my older son really needed — he really needed to have a parent at home. SARAH GREEN CARMICHAEL: Silas, the 10-year-old, was born with a small jaw. Which, among other issues, woke him up every three minutes because he couldn’t breathe. He was going to have to have a lot of surgeries. At the time, Julia was working in publishing. Andy hadn’t discovered a career path yet. And so they decided that he would stay home with Silas. JULIA HENDERSON: And then he just was so good at it. So now he’s always home with the other guys. JULIA HENDERSON: Oh, yeah, it didn’t feel like it was a choice and a conversation. I would have loved to be the person who stayed home and cared for our child. But I needed to work because we had to have the benefits. Like, it was so expensive all of those surgeries that he had. SARAH GREEN CARMICHAEL: The first year with Silas was hard. He’d be in the hospital for a week or two at a time, and Julia would work from there. Andy also had to cope with bouts of severe depression. JULIA HENDERSON: It feels like a blur. The other thing is, my son was on an oxygen monitor until we gave him the new jaw and kind of pulled his tongue away from his airway. That oxygen monitor went off every 20 minutes, all night long. And we had to adjust his position so that he was breathing better, so that his oxygen went back up to the safe percentage. You know, I already mentioned that my husband was dealing with depression. One of the things he really needed was a good night’s sleep. So, he would be taking something that helped him relax enough to sleep. So, all of those 20-minute adjustments were on me. And then I was working. I almost don’t know how I did it. SARAH GREEN CARMICHAEL: Julia’s boss offered support by letting her work from home whenever she needed to. JULIA HENDERSON: And then as soon as I kind of came out of the hardest time, she started pushing me again to strive for more. She was really, really important in my career growth. SARAH GREEN CARMICHAEL: Yeah. She probably knew, but did the people around you at that company also know that, you know, your whole family is relying on your paycheck, like, you’re the breadwinner? JULIA HENDERSON: I don’t think I talked about that part. Everybody know what was going on, or the people who I worked with knew what was going on, with my family. But I don’t know that they understood the pressure of being the sole breadwinner. SARAH GREEN CARMICHAEL: One moment from early in her career sticks in her mind. JULIA HENDERSON: I had this situation where there was an older woman who I think thought she was helping me. But we had a kind of high-pressure situation, as much as publishing can be high pressure, right. We had some delivery we needed to make, and it wasn’t going well, and we needed to have a meeting with some people in the Denver office, so they were two hours behind us, and it was, like, 6 o’clock or 6:30 — you know, after normal working hours. And she was like, I’ll be on that call. You obviously don’t want to be on it because you have a family to come home to. And I had this visceral reaction, like, you don’t tell me what call I should be on. My whole family is depending on me being reliable at work, being someone who can be counted on, excelling, showing myself to be a leader. I will be on that call. I will do well on that call. My family will be OK for the hour, but my career needs me to show up here. It felt like she was protecting me from something. Or, this kind of, like, you must be disengaged because you have young children right now. You must want to be home with them right now instead of here present at work. But I found a lot of comfort in being present at work and being good at work. SARAH GREEN CARMICHAEL: Today, Julia leads a team of 19, and a lot of them are young women. JULIA HENDERSON: It feels like I have an extra pressure to show them what a working mom can be like, and what a sole breadwinner woman can be like. So, feel like I have to do it really well, right. So, I don’t want to show that I’m tired or that things are hard, because I want them to feel like they can do it. It’s hard, but it’s, like, such a joy to be able to have these two parts of my life, where I’m doing this work, kind of problem solving and my mind is doing something new every day, and it feels kind of fresh and exciting. But I’m also getting to go home to a family that runs to me when I walk in the door and gives me huge smiles and tells me they missed me, and then we sit together and we eat. SARAH GREEN CARMICHAEL: At the dinner table, Eliot tells me about what he thinks his mom does all day at work. ELIOT HENDERSON: I’m imagining she’s, like, dialing letters all the time on a computer. And she can do it really fast. She’s sometimes having a chat with other people on a meeting. And I think that’s mostly what she’s doing for the day. SARAH GREEN CARMICHAEL: Then, Silas chimes in. SILAS HENDERSON: I think that I’m privileged to hang out with my dad instead of my mom because, uh, because I watch a lot of cartoons, and in most of them, the dad goes to work, but in this case, the mom does. I find it special that Mommy has enough care for us to leave Daddy here with us for 11 hours. JULIA HENDERSON: As the woman, I feel really aware of how difficult it is to be home with three children all day. So, when I come home, I try to do as much as I can to make his day easier. SARAH GREEN CARMICHAEL: Like, she’ll clean up after dinner. Pack lunches. Run baths for the boys. Put the baby to bed. JULIA HENDERSON: I have a lot of energy! And I might not always have a lot of energy, so, while I have it, why not? JULIA HENDERSON: I do get really exhausted after they go to bed. But, I don’t necessarily want them to see me exhausted either, so I save it. That’s the thing though — so, I really have trouble kind of taking care of myself. I have a perception, and it may be wrong, that if the working spouse is a man, and the stay-at-home spouse is a woman, that the man does a better job of taking care of himself than I am doing at taking care of myself. SARAH GREEN CARMICHAEL: So, a couple things really struck me about Julia’s experience, and the first is that moment in her story where she talks about wanting to be on that late call, really wanting to be there and show up and be present because her whole family is depending on her being good at her job and being the breadwinner. And it struck me that so often, when women talk about their work, we don’t talk about the money part. We talk about the meaning or the challenge or the learning opportunity, and we don’t talk about this as a livelihood. And I thought it was so refreshing to hear her just say, no, they’re all counting on me, and I’m going to go do this. Because I think women suffer when we sort of pretend that we’re working just for the fun of it. AMY BERNSTEIN: There was something else I heard in that, which is that she didn’t want to be treated as if she had a handicap, if you will, you know? That, yes, she has tremendous responsibilities at home, but it’s her decision whether or not to be on the call. It’s a little patronizing to assume that she — you know, a family to go home to, so she shouldn’t be on the call or wouldn’t want to be on the call. You know, you don’t make those decisions for other people. NICOLE TORRES: Yeah, that was like, an example of benevolent sexism. You know, like, protecting women. AMY BERNSTEIN: It doesn’t mean we’re not sexist just because we’re female. We all can be kind of sexist. SARAH GREEN CARMICHAEL: And then the last thing that really stood out to me is when she talks about the pressure she feels to show the young women on her team what a working mom can be. She said she wants her team to feel like they can also do it. And so she feels this pressure to kind of — to do the job and do it well and also not show some of the strain that she feels. That was mixed for me, because I also feel, in a good way, that pressure to be a role model for other people. But I think part of being a role model is also being honest about the effort it takes. NICOLE TORRES: Yeah, that’s what I was wondering, if, like, more senior women feel like they have to be role models to younger women on their teams. Because, as, like, someone who is younger and unconsciously seeking role models, what my bosses do, in terms of how open they are about the balancing act that they have to perform, like, that affects how I show up at work, too, you know. If my bosses are open about, like, needing time off to take care of something, I feel more comfortable saying I might need time off to take care of this other thing, too. AMY BERNSTEIN: Yeah, I think that stuff is really important. I mean, I think it’s really important to say, I need to take time off to take care of my mom. Because you want people who work on your team to feel that that’s totally fine. It’s more than fine. It’s important that you have to set those priorities. SARAH GREEN CARMICHAEL: Yeah, and I think what’s hard for me about this, in some ways, is Julia talks about how it’s a joy to have these two parts of her life. And someone could listen to her story and hear, god, she’s so busy; there’s so much going on. You know, she has this long commute, she has a kid who has had to have multiple surgeries for health issues. There’s a lot there. But she says it’s joy. And they sound joyful. And it was joyful being there in their home. And sometimes I think we focus so much on how hard this is and kind of the pressure to succeed. We hear a lot about how being a working mom is hard or being a working woman is hard. It’s also super fun. AMY BERNSTEIN: Oh my god, it’s so much fun. SARAH GREEN CARMICHAEL: It is fun. It is fun to be a leader. AMY BERNSTEIN: I mean, it is super challenging. SARAH GREEN CARMICHAEL: And that’s part of why it’s fun. AMY BERNSTEIN: Oh my gosh, yeah. NICOLE TORRES: It does seem very fun to do, but the process of getting there can be challenging, and you can face a ton of obstacles that can seem unsurmountable. So, it’s just helpful to hear that, you know, you can overcome them; and when you get there, it can be great. SARAH GREEN CARMICHAEL: The only thing I would push back on about that is that it never really feels like you’ve gotten there. SARAH GREEN CARMICHAEL: You have to learn to love the process. Because that’s all there is. NICOLE TORRES: Yes. That is a message I’m telling myself a lot these days. SARAH GREEN CARMICHAEL: Namaste. [LAUGHTER] Sorry. PRODUCER: We are not ending like that. SARAH GREEN CARMICHAEL: Can we just end with that? NICOLE TORRES: We wanted to hear how Julia’s experience fit into the experiences of other women making all the money for their families — or most of it. ALYSON BYRNE: And so we’re seeing the primary earner is being a woman is prevalent in single-mother households, not as prevalent in married couples, but perhaps 5.4% is where we’re at right now. NICOLE TORRES: That’s Alyson Byrne. She’s an assistant professor at Memorial University, in Newfoundland. She studies the relationship between status and gender, and she knows the research on women as financial providers. I actually wasn’t able to be there when we taped the conversation with Alyson, so I will let Amy and Sarah take it from here. SARAH GREEN CARMICHAEL: Well, Alyson, thank you so much for talking with us today. ALYSON BYRNE: Thank you for having me. SARAH GREEN CARMICHAEL: So, when we talked with Julia, she mentioned that becoming her family’s sole breadwinner wasn’t something that she expected to do and it didn’t even necessarily feel like a choice. It was sort of how things happened. Is that a common experience for women who end up in this role? ALYSON BYRNE: Right, and so research suggests that even amongst highly ambitious, high motivated and highly talented women, they still anticipate that their role is going to be secondary to their husbands. And if these expectations are there and they’re not discussed and they’re not understood, they become self-fulfilling prophecies, I guess. And so, women more, of course, taking on more of the childcare responsibilities and less likely to have their careers prioritized over their husbands. And so, I think like Julia, a lot of people go in with these expectations that despite the education and the goals that they might have at one point, their careers will become secondary to their husbands, particularly if it’s not discussed and really negotiated, I think, at an early stage of their marriage. AMY BERNSTEIN: Let’s talk about the differences that you see in families where women do get to choose whether they’re the breadwinner and where they don’t get to choose, but still end up as breadwinner. Do you see differences? ALYSON BYRNE: There are some differences and again, I want to make a point that this is a vastly understudied topic and research and it tends to, I’m drawing form sociology and the family research and management really hasn’t explored this as much. But in some of the research that looks at women who have chosen to make this decision, so it’s a conscious decision that they make with their partner, as compared to women who find themselves in this role reluctantly. The women who find themselves in this role reluctantly, can be, I guess, envious or feel resentful towards their husband who has more time with their child, particularly if they were the ones who wanted to be that stay-at-home parent. And also, they may feel that their being judged perhaps unfairly for being in this role and there’s research to support that that’s not a bad assumption. Particularly for white middle class, upper middle class, there’s the expectation of intensive mothering where women are supposed to be fully devoted to taking care of their children, putting both time and resources into rearing children. And we haven’t quite captured the idea of being a financial provider as being compatible with good mothering. And so, I think, in this research that suggests when these women are violating these rules, we are, people are judging them for not taking on the good mother identity, by going to work, especially if it’s out of choice. SARAH GREEN CARMICHAEL: It’s interesting to hear you say that about white women because it often, the public conversation about African-American women in particular is that if black women aren’t working then they are seen as bad mothers. ALYSON BYRNE: Exactly and that’s actually been, and again, limited research on some of these topics, but the research that is out there on African-American women suggests that being a breadwinner is very compatible with being a good mother. It demonstrates that they are self-reliant, that they are a good role model for their children, and that it is as you said, people see it as very compatible that being a good mother also means a working mother. And it doesn’t seem to have that same intensive mothering, all focused on your children. That seems to be targeted more towards upper-middle-class and middle-class white women. SARAH GREEN CARMICHAEL: And do you see anything in there too, about, or assumptions about single mothers? Because that’s a situation where we’ve kind of talked a lot about what it’s like when there’s a couple, and one person may be staying home or earning less, but if you’re a single parent, there is no one else. ALYSON BYRNE: Exactly. And it seems, I mean again, limited research on the area, but when studies have looked at single mothers, they do not feel that same intense pressure of having to do intensive mothering, and they actually define it more as extensive mothering, in such that being a provider is a necessity and once they, people hear that they are single mothers, that pressure to be all, 100% with their children, seems to be alleviated, and it seems more compatible and judged less by society that they are working. And they are still providing and being fully responsible for their child’s well-being, but of course in being fully responsible for your child’s well-being, when you’re the only parent also means that there needs to be financial components. So, perhaps that identity is broadened to encapsulate both the working side as well as the mothering side. AMY BERNSTEIN: So, in marriages where women, or relationships where women are the primary, or sole breadwinners, how do the power dynamics break down? Talk about that. AMY BERNSTEIN: So, it sounds as if women in these situations are pretty conflicted about their power and I’m wondering what you’re seeing. ALYSON BYRNE: Yes. Yeah, I think that’s a fair assessment. In some research they would suggest that yeah, they feel empowered. It’s nice to know where the money’s coming in and that they have control over that, absolutely, but that in the home dynamic, again, they’re feeling pressure to be both an ideal worker of course at work, but at home to be an ideal wife, or an ideal woman, then taking ownership of how the money is spent and how things go at home isn’t very, it doesn’t fit with those models. And so, in being a good wife, or being a good mother, or being a good woman, it’s not to be the assertive one. It’s not to be the strong and agentic one. And those dynamics can play out in house as much as they can play out at work. SARAH GREEN CARMICHAEL: So, I want to ask a little bit more about the pressure women face because one thing we did hear a lot from women who are, especially the sole breadwinner, is that there’s a ton of pressure to keep bringing home that bacon. So, is this the same kind of stress that male breadwinners have been dealing with for a long time, or is this somehow different? Is it different when women are carrying that stress? ALYSON BYRNE: So, Meisenbach has done some work on female breadwinners, and they said that they experience quite a bit of pressure as the sole breadwinner. And they argue that this pressure would be qualitatively different than the pressure that men felt, given that men’s idea as being a good father, a good husband is compatible with being an ideal worker in such that by providing, bringing home the bacon, for lack of a better term, that would be compatible with being both a good worker, while also being a good dad, a good husband; but for women, they didn’t feel that way, because they felt the pressure to also be a good wife or a mother, which isn’t compatible with of course, them being a good worker, being always available for the workplace. And so, they would argue that that pressure is different. But interestingly, Christin Munsch and her colleagues presented some work at the annual meeting of the American Sociological Association which I think is currently under review. And she looked at men and women’s relative income contributions and found that actually when men took on more financial responsibility in their marriages, their psychological well-being declined and was actually at its lowest level when they were the sole breadwinners. However, breadwinning had the opposite effect for women’s psychological and well-being where it improved as they made greater economic contributions to their marriage. And she suggests that men approach breadwinning with a sense of obligation and worry about maintaining that status. And so, they feel quite a bit of pressure on, if I were to lose that, they feel quite concerned about making sure that they could provide for their families. For women, in her study, she argued that they approached breadwinning possibly as an opportunity or as a choice and that they may feel actually a sense of pride, not necessarily worrying what others will say if they can’t, or don’t maintain it. So, they don’t feel that same sort of societal pressures to keep up the breadwinning role. And so, again really interesting that those findings are mixed, but I think it opens the opportunity for more discussion, if nothing else. AMY BERNSTEIN: Let’s talk about women who have been the breadwinner for years, and they want to make a change in their careers. They want to dial back a bit, or take a break. How should they handle that? How are you seeing that being handled? ALYSON BYRNE: So, I will say right off the bat, there’s just really a limited understanding of that. We do know that professional women, when they take time out of their careers and they want to go back, they tend not to go back to the same types of industries and will frequently look at more family-friendly companies and/or positions, which typically means that they’re going back to a lower-status and a lower-paid position. And so, for women who are female breadwinners who really want to take a rest, or take a break, they do need to keep that in mind that if they want to come back, unfortunately, the reality will be that they may not be able to enter back into the role that they wanted to, or they may not wish to anymore. So, just being cognizant of that is probably quite important. SARAH GREEN CARMICHAEL: I’m also wondering what we know about how being a sole breadwinner affects women’s health. And I’m sort of coming at this a little bit because Julia mentioned how she feels exhausted, but feels like she can’t show that to people. But also, I was super impressed that she goes running quite regularly on her lunch break, which is, I have no excuse, but I don’t do that. So, I feel like on some level she’s way more healthy, on another level, maybe there’s something else that either physically or mentally that takes a toll. ALYSON BYRNE: Oftentimes when women come home from work, they try to then relieve their husbands of the domestic responsibilities. And so, that provides husbands with time to pursue other activities at home, and so they can engage in leisure time, or an outside activities, but it really means that the mothers are going straight from work where they were engaged assuming many hours a day, exercising, whatever, getting that in during the lunchbreak, squeezing whatever time you have and then going home and being full on, fulltime parents when they get in the door. And so, that swap of responsibility can be absolutely exhausting on somebody who’s literally never getting a break. And so, it might be a way that women try and minimize some of the guilt perhaps that they’re experiencing by violating the social norms of being a fulltime worker and not necessarily being able to encapsulate the ideas of intensive mothering. But it just means for a very intensive day, and certainly would be exhausting over time. SARAH GREEN CARMICHAEL: I’m also, I’m curious to know about the different kinds of support that the husbands in these situations provide. So, your research found that tangible support, or practical support, made a much bigger difference than emotional support. What’s going on there? ALYSON BYRNE: Yes. And we were surprised to be fair when we found that out. And then we really dug a little bit more into the literature and so, the domestic, the childcare, and the eldercare, those are those tangible components that women are typically asked to do themselves. And so, when their husbands are doing that, one, they’re showing respect for their wives careers. First and foremost they’re showing that, I’m willing to do this because obviously your career is important to our family and so, I can pick up the slack. But it’s also the things that she physically cannot do. And so, if it means that for her work she has to travel, and then she doesn’t have to worry about her husband taking care of the kids at home, then that would show a real demonstration of instrumental and valuable support that otherwise she would have to outsource, or feel quite a bit of pressure to do herself. The emotional support side, what we found is that women are more likely to find emotional support in a whole host of areas. And so, while it’s great if a husband wants to be their wife’s cheerleader, she doesn’t need that. She can get that from her friends, from her colleagues, from other people. Men on the other hand are more likely to look to their wives for the emotional support if they’re having a rough day at the job, they’re going to come home and want their wives to support them. But women are able to find that sense of support from other sources. And so, we think that that’s why the instrumental support was so much more important in our study than the emotional support. AMY BERNSTEIN: One thing that we noticed was that Julia said she wasn’t sure how many of her colleagues knew that she was the breadwinner and that, and all the pressure that comes with that. It’s not as if she was keeping a secret; she just never talked about it that much. Do you think that female breadwinners should talk more openly about their experiences? ALYSON BYRNE: This is a really tough question I think because on the one hand, the literature on disclosure in the workplace suggest that in order for people to forge really strong relationships with their co-workers, they should be willing to disclose information about themselves, including their values and beliefs. And on the other hand, this idea of segmentation, so keeping one’s personal life separate from one’s work life, can be really helpful. In Julia’s case, and in other female breadwinners’ cases, I think that it becomes extra complicated. Because on the one hand they are, on paper they’re kind of the ideal worker. If they have a stay at home husband, they are on paper, unencumbered and by outside responsibilities and can be fully available in the workplace. But yet, they’re also seen as women and good women are also good wives, and good mothers, and to be fully devoted to ones work they may get judged by others in the workplace. But on the other hand, I struggle with perhaps not having the opportunity to normalize this; and we know that there are more and more couples where females are the primary breadwinner, not necessarily with a stay at home husband, but certainly the primary breadwinner. And for other young women in the workplace who are aspiring to senior levels, I think it’s really important for them to have role models who may model some sort of a family dynamic that they can aspire to. And so, perhaps they are seeing women in senior leadership roles, and really challenging positions and thinking, well how do they do it all and not knowing that they have a very supportive partner at home, might suggest something different to these young women who are thinking, well I can’t do it all, but yet she can. There’s no way I can accomplish this. So, I think there’s two sides to that coin. I certainly understand why there’s an unwillingness to disclose. Yet, it may help normalize things if the disclosure was there. SARAH GREEN CARMICHAEL: We also asked Julia if there was anything her organization could get done that would make her life a little easier. She said, no, she couldn’t really think of anything, but I’m wondering what you think. ALYSON BYRNE: One of the things I thought was really interesting that Julia brought up was that she had a great boss. Someone who supported her, but also continued to give her challenging work. And I think that was really critical because I think Julia was honest when she said, there isn’t anything else the organization can do. And a supportive boss is critical. And so Jenny Hoobler and her colleagues have done some research on when managers might perceive that there’s work-family conflict for women that exists regardless of their actual situation, and so they found that managers perceptions of that work-family conflict had a negative impact on the performance appraisals and promotions, but that was their perceptions. And it didn’t actually matter whether the women’s family structure or their actual difficulty in managing their responsibility and roles; it was simply whether the manager believe that there was going to be an issue and therefore was less likely to promote them and to give them high performance appraisals. And so, I think that when Julia said, no my boss is continuing to give me respect and support, but also really challenging work, that was the signal that she needed. And so, I think for managers, and for organizations, I wouldn’t assume that women, just because they have families at home, or if you think they might have families at home, that that’s going to hamper their ability to take on challenging work. One other thing I think that organizations can do to help female breadwinners is normalize the use of family leave by men. Make it more normative that men can be supportive of their wives. That would be a really big step forward. AMY BERNSTEIN: So, female breadwinners, clearly there’s a lot expected of them, and I’m wondering what they can do to manage expectations. ALYSON BYRNE: I think it does require a bit of self-awareness, and in research that looks at these nontraditional couples, particularly Erin Reid’s most recent research, these husbands that are supporting their wives careers and the bread share model, they’re very aware that they fit this nontraditional model, and I think it’s important for women to start understanding that as well. That if they’re going to be in this kind of dynamic, are they willing to go that route and to sort of maybe loosen their reins on the identity pieces that might be really critical to them. And so, some of the research on maternal gatekeeping comes to mind where women are often hesitant to relinquish responsibility for family matters. They want to set the schedules. They don’t want to let their husbands, or the fathers take as much responsibility in terms of how the family dynamics works. And so, I think that for women who are going to be primary breadwinners, or sole breadwinners, that relinquishing of the maternal gatekeeping needs to be something that they’re aware of. They need to be mindful that they’re doing that, if that’s something that’s important to them. And I think they also have to understand that they’re not immune to the socialization pressure. So, in my research with Julian Barling on status leakage, the women that we studied were incredibly educated. They were highly successful. I mean these were high-status professional women and even they were not immune to the traditional norms. So, they still reported a higher level of status leakage when they out earned their husbands, so feeling resentful that their partner made less than they did, feeling embarrassed, or wishing that he had a similar level of status. So, despite their, all of their accomplishments and their achievements and their education, they still can feel the pressures of the social norms that are in place. And so, I think women just need to be really self-reflective about that challenge and just be mindful that they have to deal with those pressures. AMY BERNSTEIN: So, let’s talk a little bit about kids and what they think of all this. We did ask Julia and Andy’s older two boys who were seven and 10; we did not ask baby Winslow, what they think about their mom going to the office and their dad staying at home. What did you hear in the boy’s answers? ALYSON BYRNE: I thought those questions were great for the kids and I was really impressed by the older son’s. He was very aware that he’s in an unusual situation and he mentioned how in the cartoons it’s always the mom who stays home, but he feels very privileged that in his situation he gets the dad to stay home. And to me that really demonstrated a couple of different things. One, it demonstrated role modeling. I mean these boys are going to grow up with different expectations about gender roles, both at work and at home. They have a role model as a father who is somebody who supports his wife’s career and is fully comfortable with taking on the lead parenting role at home. And that’s not something that many young boys, or girls get exposed to at such an early age. So, I think that was really critical. One of the other things is that I noticed he mentioned that his mom cares for his dad, or trusts the dad enough to take on the role of the dad at home. And so, in some ways it sounds like Julia has really relinquished that maternal gatekeeping and is fully comfortable with allowing her husband to take on a lot of the parenting decisions of the parenting role which really demonstrates a high level of respect and trust between the parents. And so, I think there is something really phenomenal that such a young child, two young children, can pick up on such critical pieces of a marriage, just in that conversation. AMY BERNSTEIN: Yeah, I was really moved by those answers. Those kids are so thoughtful. ALYSON BYRNE: They really were. SARAH GREEN CARMICHAEL: And so cute. Well, Alyson, this has been so interesting. Thank you for talking with us today. ALYSON BYRNE: Oh, thank you for having me. AMY BERNSTEIN: Thanks so much Alyson. SARAH GREEN CARMICHAEL: So, we brought in a special guest to help us talk through some of these issues. AMY BERNSTEIN: She’s the editor of HBR.org. She’s the supervising editor of the show, and she’s her family’s primary breadwinner. SARAH GREEN CARMICHAEL: She’s also my boss. Hello Maureen Hoch. MAUREEN HOCH: Hello Sarah. Hello Amy. MAUREEN HOCH: It’s good to be here. SARAH GREEN CARMICHAEL: It’s great to have you. SARAH GREEN CARMICHAEL: So, Maureen, what stood out to you or surprised you in our conversation with Alyson? MAUREEN HOCH: There were a couple, well there were many things, to be clear, that sort of resonated with me and it’s always helpful to sometimes hear how research reflects your own experience. But one thing that surprised me is that in my family, we did make a choice to have my husband stay home and really take on a lot of the responsibilities for caring for my daughter. We chose that. And Alyson talked about how it’s really the minority of families are in the situation of really choosing that the woman is the primary breadwinner. So, that surprised me. And then something that really resonated with me was this identity issue of, if you are hardworking, financially providing woman, you can’t be a good mother. AMY BERNSTEIN: So, that’s interesting. Your daughter, Irene, is 4 years old. And, so I imagine that you’ve been struggling with this since she’s been part of the family there. How much of that is coming from inside of you? And how much of it is sort of projected onto you by others? MAUREEN HOCH: I really think it’s both. I think some of it does come from this idea that as a woman, you need to be a great mom, a great wife, and if you’re working, a great worker; and there’s really not a lot of give. And sometimes it feels like for men there’s more of an expectation, well, they’re doing such a great job providing for their family, they don’t need to worry about ticking all the boxes in these other categories because that’s their main job and that’s how people see them as being successful. I’m really hoping that when it comes to Irene, that she is going to have some different models and different ways to think about the options that she has and how she wants to think about her family, or think about her path. She’s going to have a slightly different set of norms in front of her. AMY BERNSTEIN: How do you think Irene processes this, that you go off to work every day and Jason stays home and takes care of her? MAUREEN HOCH: I think that sometimes things do happen, like if I worked a long day, or if I say I missed bedtime the night before, and sometimes the next time I’ll see her she’ll look at me and say, oh you’re here. Oh, it’s so nice to see you. Sort of like this, suddenly mom appears. So, I think that she has a recognition that I’m not around as much as my husband is, obviously. And she and my husband have a really terrific relationship. She’s also four, so I think she’s still figuring some of this out, but she knows about my office. I brought her into the office, which I think is really nice when you can share parts of your work with your, even your young kids, so they sort of get a sense and some context of what you’re doing. I’m going to be really interested to watch how she connects the dots here. And in terms of the different things that I’m doing and hopefully the model that I’m showing her about how caring about your career and your work is OK. That you can be a whole person in many different ways and you just have to figure out the one that works for you. AMY BERNSTEIN: I remember — my mom worked. She was an advertising executive, and it was a very big day each year when my brothers and I would get to go to her office. And I remember the day the penny dropped that my mother was the boss and I remember processing this and talking to my little brother about it. And the feeling I had, and I can still feel it, was such incredible pride. I had to be told not to talk about it at school the way I wanted to talk about it. Because of course as a little kid you test it out on your parents first. So, just a thought for you. MAUREEN HOCH: I mean that’s what I really hope that in the future if, why wasn’t I the one picking you up at school, or why wasn’t I the one doing these things? That that’s going to be replaced with a sense of pride about, but my mom was out doing these things and that’s really cool and that gives me inspiration to do other stuff and be proud of her. AMY BERNSTEIN: And people look up to her. AMY BERNSTEIN: And that’s the thing that really hit me is that people looked up to her. MAUREEN HOCH: Yeah. I mean I think something that’s interesting from Irene’s perspective though is sometimes these sort of gender stereotypes, even come through other kids her age. So, when Irene was three, we put her in daycare for a couple of days a week because my husband does work part time. He’s a database developer and he does contract work. I’ll never forget that I went to visit her daycare class and my husband had been the one dropping her off and picking her up and I hadn’t been as visible. And so, I’m in the class and I sat down and one of her classmates was probably four or so at the time, came up to me and said who are you? And I said, I’m Irene’s mom. And she said, you can’t be Irene’s mommy. Irene’s mommy is a daddy. [LAUGHTER] And I kind of sat there sort of shell shocked for a second and then what can you do, but laugh? Because Irene’s mommy had been a daddy for her at that point in terms of the mom’s role and the dad’s role. And I have had to develop my own thick skin about that too. Because sometimes that stuff does sting. Because you don’t want to feel like you’re absent, but sometimes also saying yeah, sometimes Irene’s mommy is a daddy and that’s OK.
AMY BERNSTEIN: Yeah. That’s more than OK.
SARAH GREEN CARMICHAEL: I do think it was interesting to hear about the sense among women who are the sole or primary breadwinner that there aren’t a lot of role models. And I hear a lot of that kind of isolation can really be a problem. At the same time, I am, I think in some ways fortunate to have had many female role models who are in that situation. I would just say the flipside of that is that sometimes you can look up in the organization and if that’s all you see, then you think, oh I need to get one of these stay-at-home spouses because I can’t get there if I’m in a different family model. So, and the data kind of bears out that when women have a support spouse at home, they are more likely to rise at work. So, I have sort of mixed feelings about, I don’t want women to feel isolated, but I also have mixed feelings on sort of the reality that having a supportive spouse at home lets you be more successful at work in a lot of cases. MAUREEN HOCH: That is so hard because I think the message you don’t want to hear too is that oh, you can’t marry an ambitious, career-minded person. That one of you is, that you’re going to have to be supportive to the point of sacrificing your own dreams and aspirations. I mean I think what Alyson said about having those conversations really early on about how you see the future is so important. I think about some of the things of Avivah Wittenberg-Cox has written for us about how yeah, if you want to have kids and careers, like sometimes you have to trade off. Sometimes if you’ve taken a big job and you’ve been able to accomplish some things, then your spouse has to be able to get some room to do that. I mean, I agree with you that I don’t like the idea that that’s the only way. AMY BERNSTEIN: Do you and Jason talk about this? MAUREEN HOCH: We do. We try to kind of think about scenarios. What if, this is also just my personality and the way I think, but what if something was to change with my job? Would I be the one to then go out and find another fulltime job? Would that be Jason’s chance to step up, or how would we think about that and what his sort of career ambitions are. I am, I think in a very fortunate position that he has been really comfortable sort of taking just a different path and really being the primary parent for our daughter and he’s still working, which is great and really helpful for our income. But he doesn’t worry as much about those breaks, like being out of the workforce and then trying to get back in. Whereas, I think if I did that I would worry a lot about my kind of onramp back into my career, if I was to take a break like that. So, certainly communicating, I mean really communicating your expectations has been absolutely key to making it work. SARAH GREEN CARMICHAEL: So, just a side note for listeners who are curious to hear more about two-career couples. We did an episode on that in season one, where we talked with Avivah Wittenberg-Cox, Jennifer Petriglieri, and historian Stephanie Coontz. It’s called “Couples that Work.” So, if you want to know more on that, go check it out. AMY BERNSTEIN: One thing that really resonated with me was Alyson’s point about the kind of guilt and sensitivity that the breadwinner, the primary breadwinner, brings into the relationship; and I feel that sometimes, and it’s nothing that my spouse is demanding of me, and it’s certainly nothing that we talk about. But I think part of it is I feel so fortunate to be in my role and to have the privileges that come with this role. SARAH GREEN CARMICHAEL: Let’s talk about first, what’s the worst part of being a primary breadwinner, and then we’ll end on the best part, so we can end on a high note. So, what’s the worst part of being in this position? AMY BERNSTEIN: The pressure that if you lose this job, you’re not going to be able to make your next mortgage payment. MAUREEN HOCH: Yeah, I think the pressure, sometimes feeling like I’m not meeting the expectations in all of my roles. That is sometimes really hard and as a mom, feeling like you’re not being there for your kid as much as you want to, is hard. And sometimes just feeling protective of my family that I wish that my husband didn’t have to kind of have to explain why he’s the one picking up my daughter every day. It’s really, sometimes it comes down to time. You just wish there were more time. And there just isn’t and you have to be OK with letting some stuff go. And that is a lifelong skill for sure. How about for you, Sarah? SARAH GREEN CARMICHAEL: I’ve sort of gone back and forth on this. So, Ben and I both have jobs. Right now, my career has been the slightly more dominate one in our relationship. He moved to Boston because I had a job here at HBR. And at the time that was a sacrifice that both was incredibly meaningful, but also kind of hard to accept. It’s like when someone does something super nice for you and you’re like no, you shouldn’t have, except that you, of course you should have. AMY BERNSTEIN: But that’s a lot to carry around. SARAH GREEN CARMICHAEL: It is a lot to carry around, and for a while it sort of felt like I had to pay him back somehow for that. And so, I think that there are times in a relationship where accepting the career sacrifice that someone else is making, so that your career can take off, is tough. MAUREEN HOCH: So, I’ll start. I think the best part for me is that I get to really believe in myself and exercise my ambition. I like to work. I get to keep doing it. I feel very fortunate to have had what I feel like was a very direct calling to be an editor. Like I love putting words together and having people read them, and I feel so happy that I get to do that and that I have a supportive spouse who believes in me and helps make that happen. And yeah, that I’m doing something that my daughter will be proud of. That’s pretty good. AMY BERNSTEIN: For me, obviously financial freedom. But the sheer joy of getting to do something you love. SARAH GREEN CARMICHAEL: I think the joy of getting to do something you love applies. I also, I love knowing that I can take care of myself. SARAH GREEN CARMICHAEL: And I’m not dependent on another person. And I think there is something really new for a lot of women, all over the world in having a really high level of financial independence. SARAH GREEN CARMICHAEL: That’s our show. I’m Sarah Green Carmichael. NICOLE TORRES: And I’m Nicole Torres. Our producer is Amanda Kersey. Our audio product manager is Adam Buchholz. Maureen Hoch is our supervising editor. We get production help from Rob Eckhardt and Isis Madrid. SARAH GREEN CARMICHAEL: Don’t forget that we’ve got discussion guides for each of our episodes, to help you talk through the issues we bring up on the show. And we are thrilled that so many of you have joined our Women at Work online group. There are conversations happening right now about decision making, perfectionism, managing parental leave. Good ideas come from all of us, and we hope you’ll join and contribute yours. AMY BERNSTEIN: We also hope you’ll subscribe to HBR. By doing that you not only support our show; you also get unlimited access to HBR’s entire archive and a library of subscriber-only charts, tables, and slide decks to incorporate into your own presentations. NICOLE TORRES: Thanks so much for listening.